Open any PPC analytics dashboard and you’ll start swimming in numbers. Which ones are important and which ones can be set aside? Many people focus on the click-through rate (CTR). That’s the proportion of how many people see your ad versus clicking on your ad. So, if 1000 people see your ad and 100 people click it, that’s a click-through rate of 10%. It seems like an obvious metric for success. But speaking from over a decade of personal experience running Adficient, the click-through rate is not the first metric to examine for long-term success. Why? First, it’s a lousy way to measure how well you’re doing versus the competition. If everyone else has a high click-through rate on the same keywords, your piece of the overall clicks is smaller than you might imagine. Many new PPC marketers also seek a high PPC rate because it means lower prices from your provider, but that’s also measured in relation to your competition. Also, just because someone clicks on your ad doesn’t mean they’re going to buy. A high click-through rate means you have an ad that people like but it doesn’t necessarily translate into purchases. If no one buys, you’ll just be paying for all those clicks with nothing to show for it. So, if the click-through rate is misleading for success, then what’s the metric we should look at first? The most important metric to look at in your AdWords account is cost per acquisition. This is the average of how much you spent on AdWords for each conversion that you received on your landing pages. If your CPA is high but your CTR is low, that means that your landing page is working really well and you’re earning money despite your low ad response rate. On the other hand, if it’s the other way around it means you’re spending a lot of advertising and not selling the service well enough at the end. This is a bad situation to be in. If your site isn’t converting and making money, it does not matter how many people are clicking on your ads. The biggest goal you should set for your metrics is to drive your CPA down. If you cannot drive it down because of high-value keywords then you’ll need to raise your prices so your CPA still leaves you with profit. CPA is trickier to measure than CTR. It can take a lead multiple visits to finally convert, so it’s hard to measure whether your landing page was a factor in bringing them back a second (or third, or fourth) time before conversion. But, in general, you need to try to push this cost down. Only when the amount that you’re spending on ads is making a good return on revenue should you worry about increasing the CTR. CTR gets a lot of press (even in earning reports) because it’s easy to measure and easy to change. Just write an ad that’s more attractive or spend more for more impressions and you can change your CTR rate. But, again, clicks are always secondary to conversions. No conversions, no profit. Worry about lowering your overall ad spend through a better CTR after you’re making money off your site. 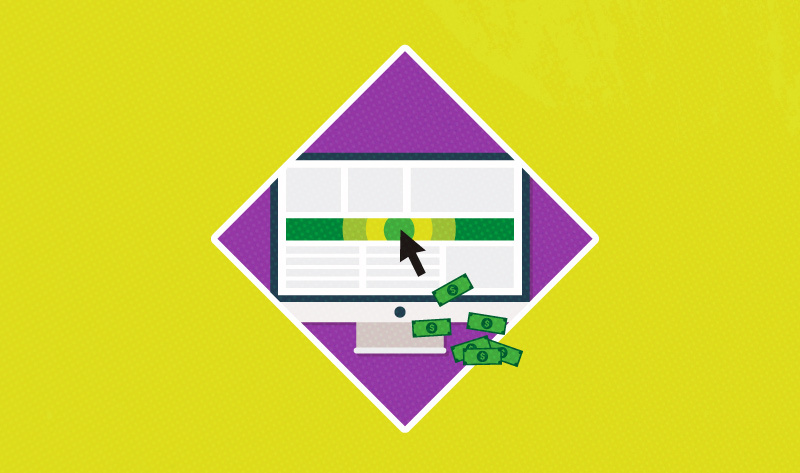 If you focus on CPA first, your PPC campaigns will function from a much stronger foundation. Use A/B testing, changing your price points, and other landing page tactics to improve the conversion rate of those who click on your ad. The more sales you can make, the more money you’ll have to spend on advertising and improving CTR. If you chase the easy goal of a higher CTR too soon, your campaign will crash and burn. Chris Hickman is the Founder and CEO at Adficient with 14 years of experience in search marketing and conversion optimization. In 2006 he founded Adwords Suspension and Google Penalty recovery service at GetBackonGoogle.com to help businesses and websites to get back on Google.